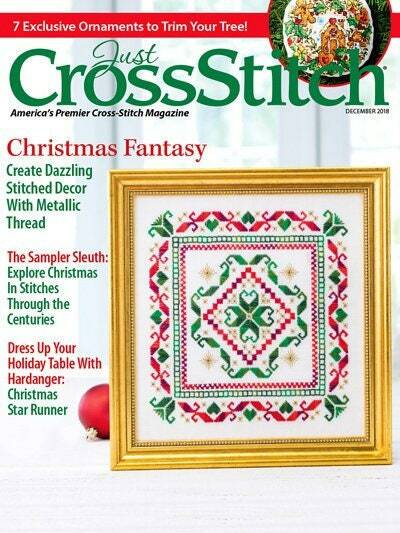 Stitch yourself a Christmas fantasy with this December issue of Just CrossStitch! Enjoy the best of holiday stitching with designs that sparkle with the sheen of metallic thread, feature eye-catching dimension of specialty stitches and warm your heart with the timeless motifs and colors of Christmas. Create dazzling holiday ornaments with the exclusive designs of our Trim the Tree Ornament Showcase. You'll love stitching the adorable bunnies exchanging a gift on the Mistletoe Kiss, a ball-shaped ornament design perfect for every Christmas tree. Master specialty stitches with stunning projects such as the Songs of Praise Needleroll, which features the words of a beloved Christmas hymn amongst a multitude of specialty stitches. You'll also love the Christmas Star Runner, which showcases intricately worked Hardanger, dove's eyes, webs and Greek crosses. 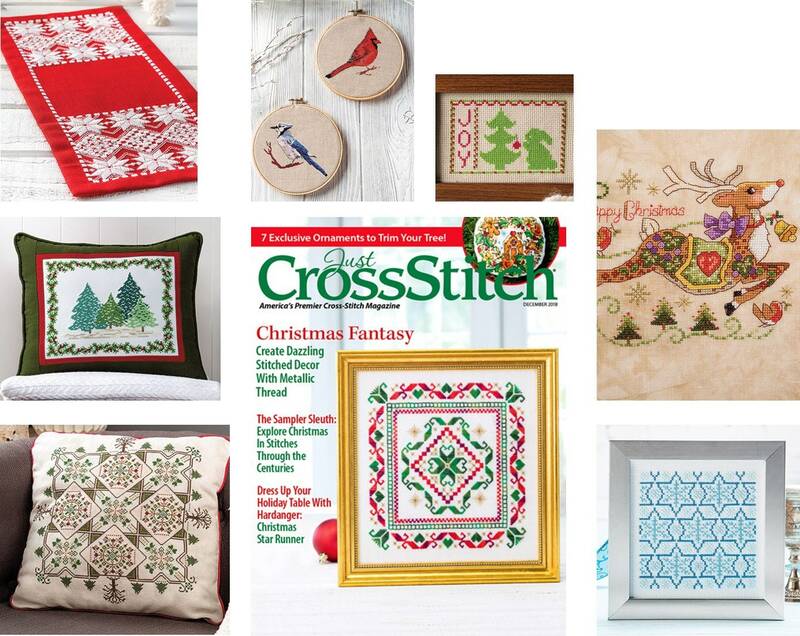 Plus, don't miss our exclusive holiday Sampler Sleuth feature: Christmas in Stitches Through the Centuries. PLEASE NOTE: This listing is for the cross stitch pattern magazine only - not the completed cross stitch - and the threads, fabric, and any embellishments are sold separately. It is a NEW magazine and in PRISTINE condition.